President Donald Trump and European Commission President Jean-Claude Juncker in the Oval Office of the White House, Washington, July 25, 2018 (AP photo by Evan Vucci). While recognizing that it could be undone at any time by a single presidential tweet, there appears to be a truce on at least one front in Donald Trump’s trade war. 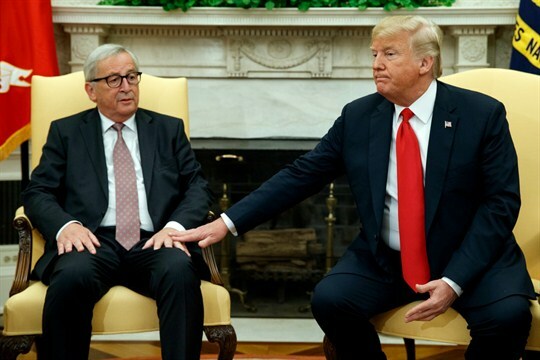 During a visit to the White House last week, European Commission President Jean-Claude Juncker pledged along with Trump to refrain from further escalation of the trans-Atlantic trade dispute and try to work things out.